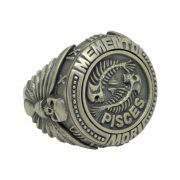 SKU: SS-027. 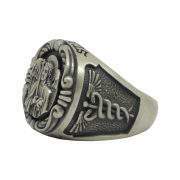 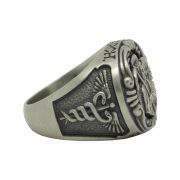 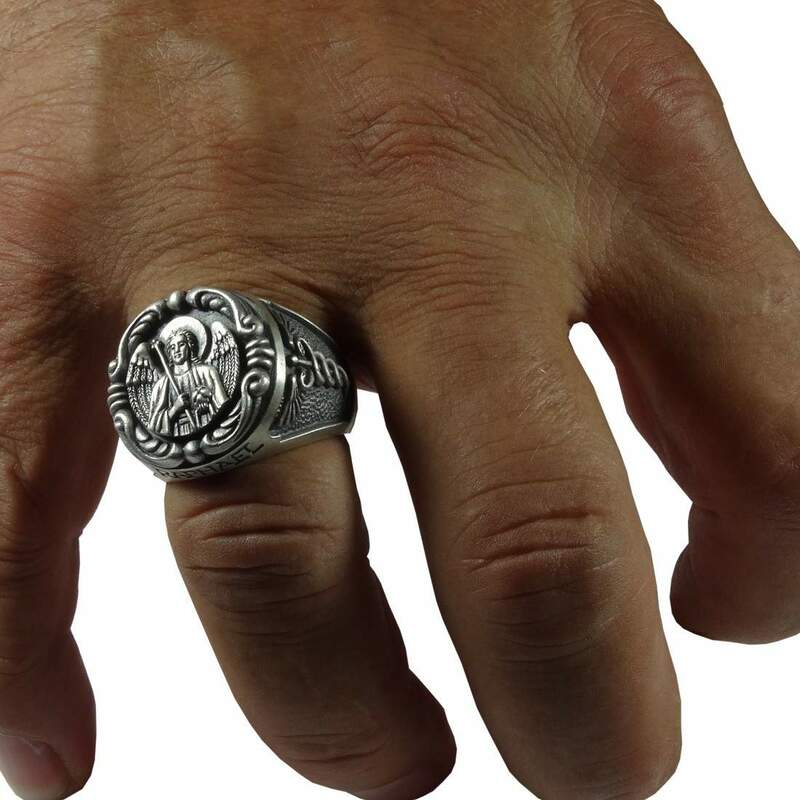 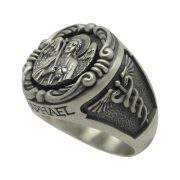 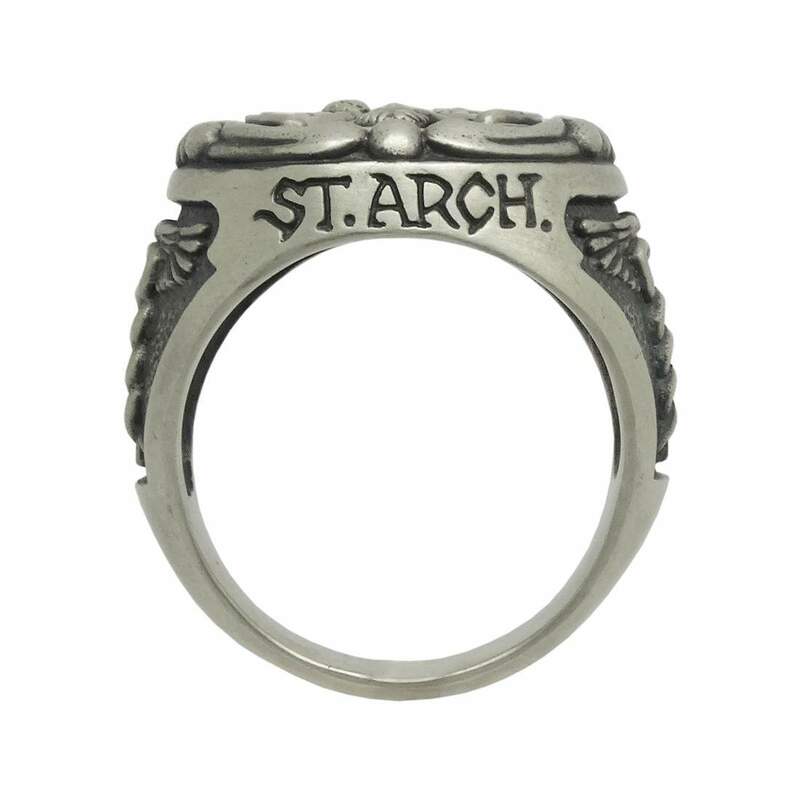 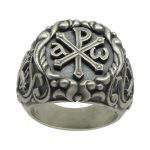 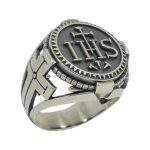 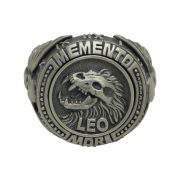 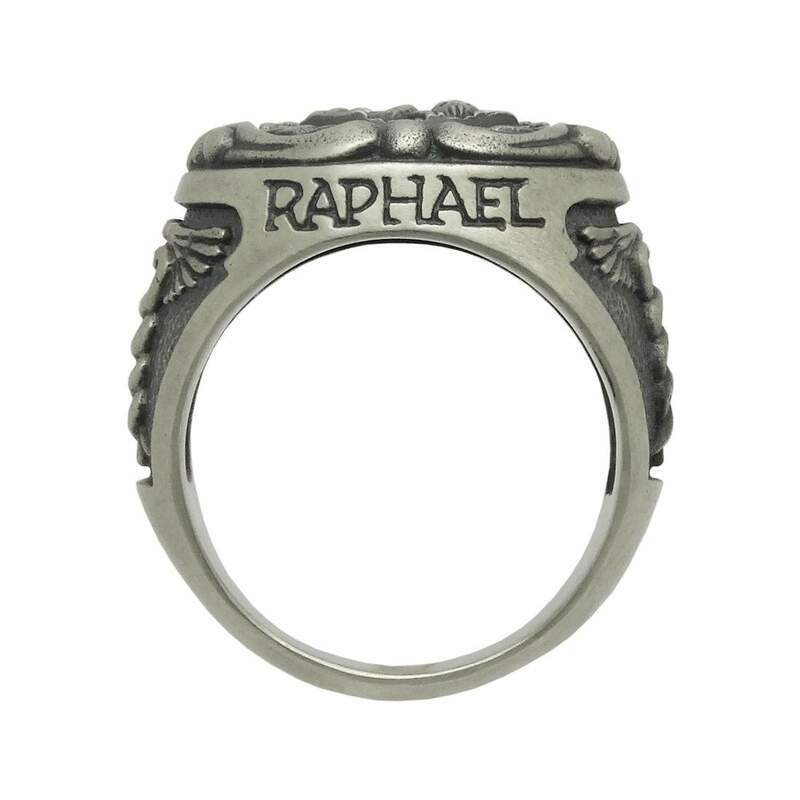 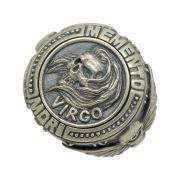 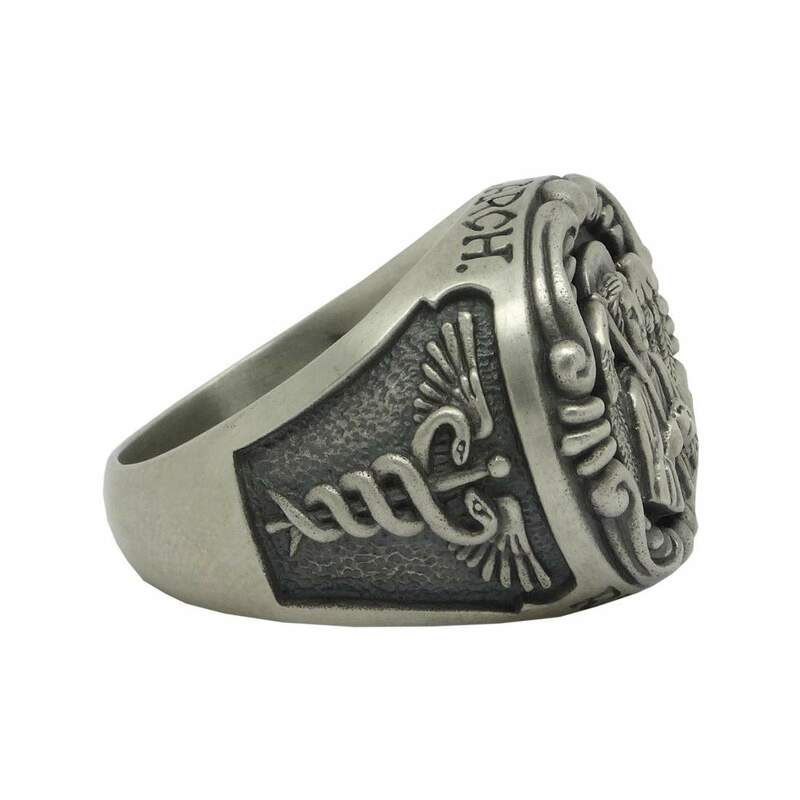 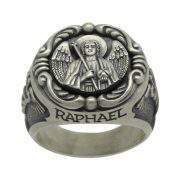 Categories: MILITARY RINGS, TEMPLAR RINGS, ROMAN EMPIRE, RELIGION, MASONIC, BIKER RINGS. 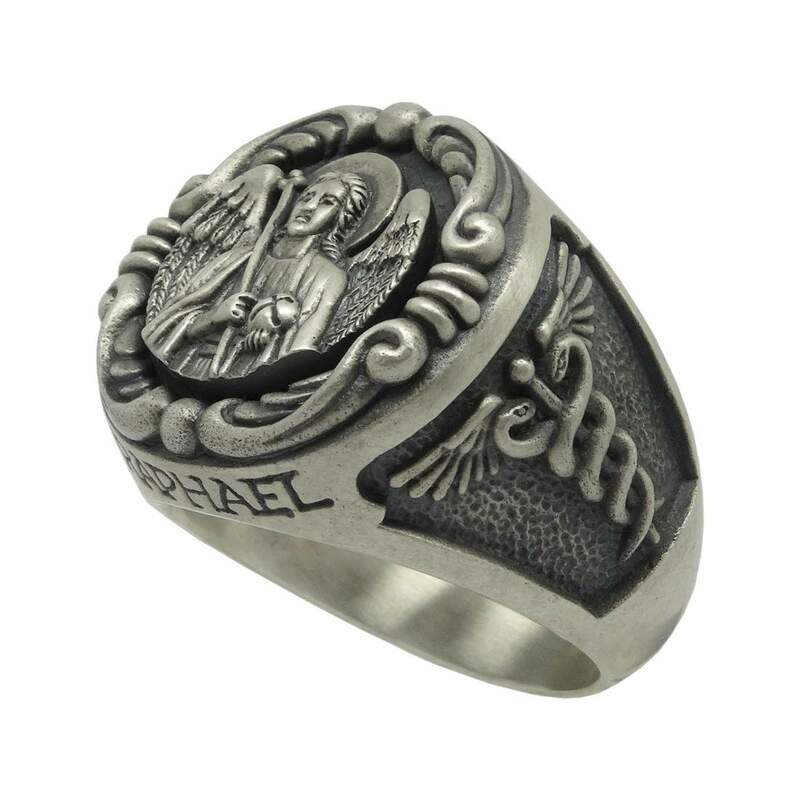 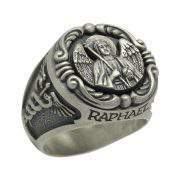 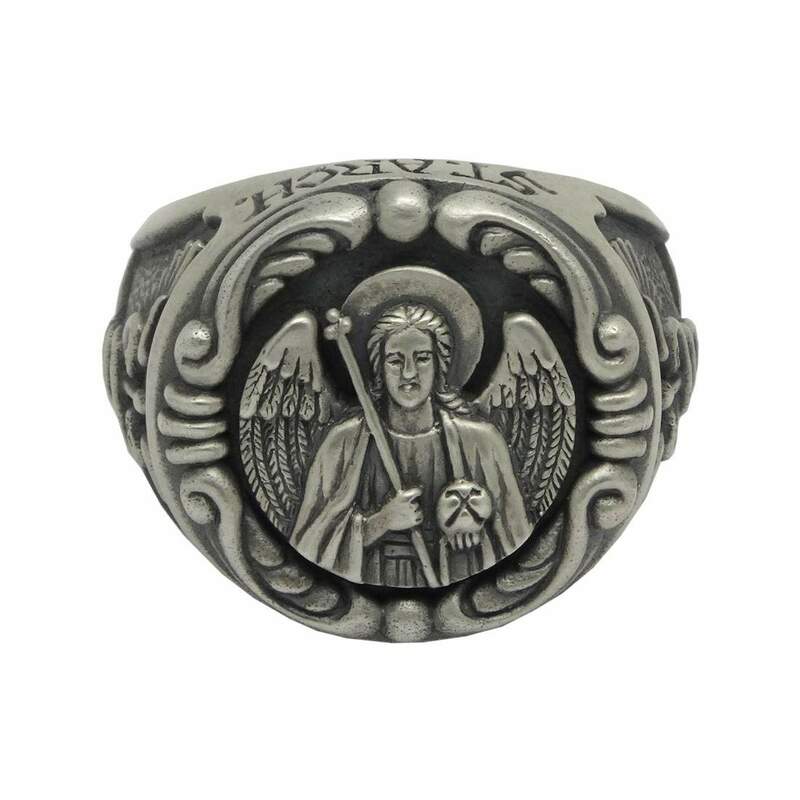 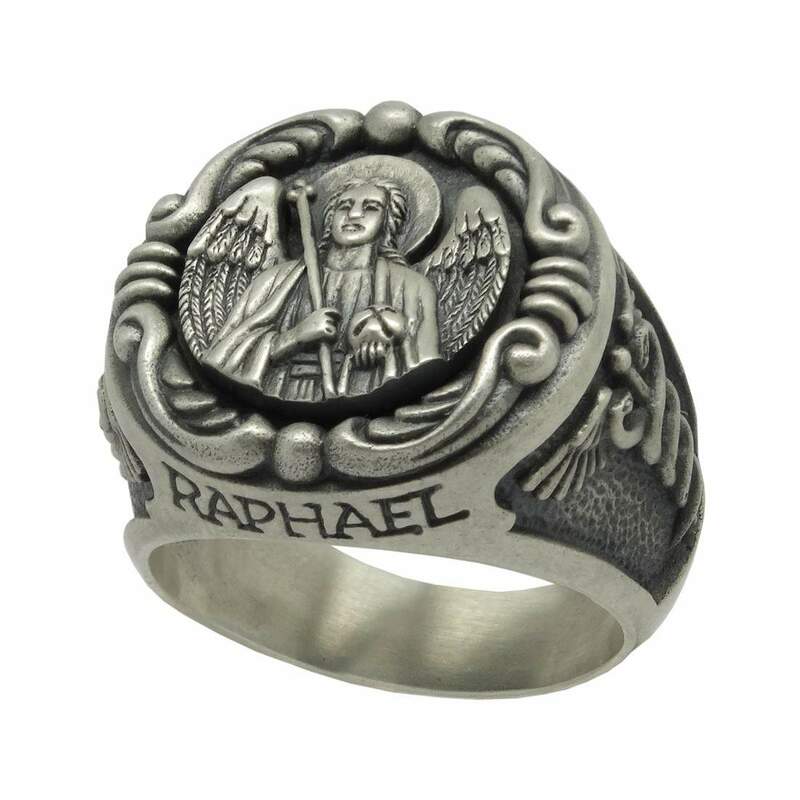 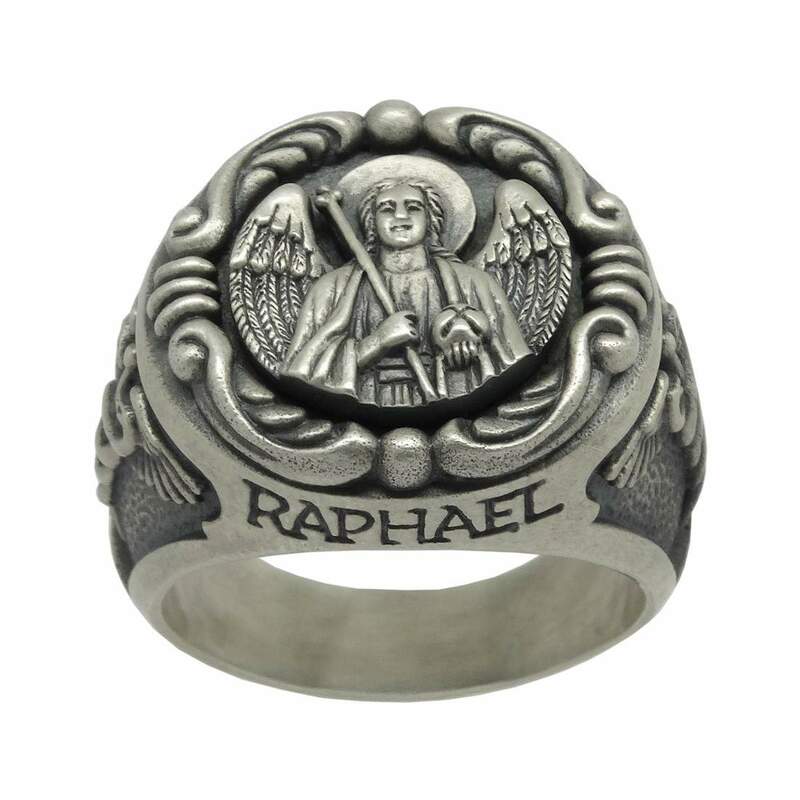 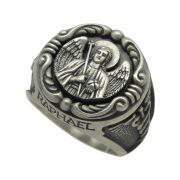 Sterling silver Handmade “Saint Raphael the Archangel” men’s ring, an archangel of Judaism, Christianity, and Islam, also known as the Doctor’s patron. 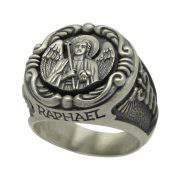 Therefore, on the face of the piece is the symbol of “St Raphael” who in the Christian tradition performs all manners of healing, that’s why is called “God who heals”. 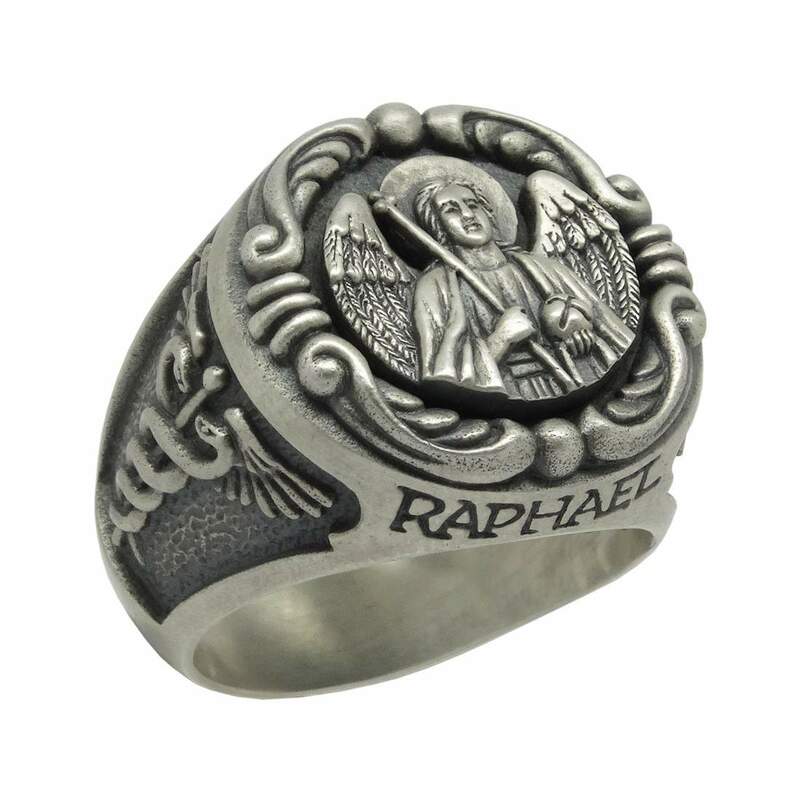 In Islam, Raphael is the fourth major angel; in the Muslim tradition, he is known as Israfil. 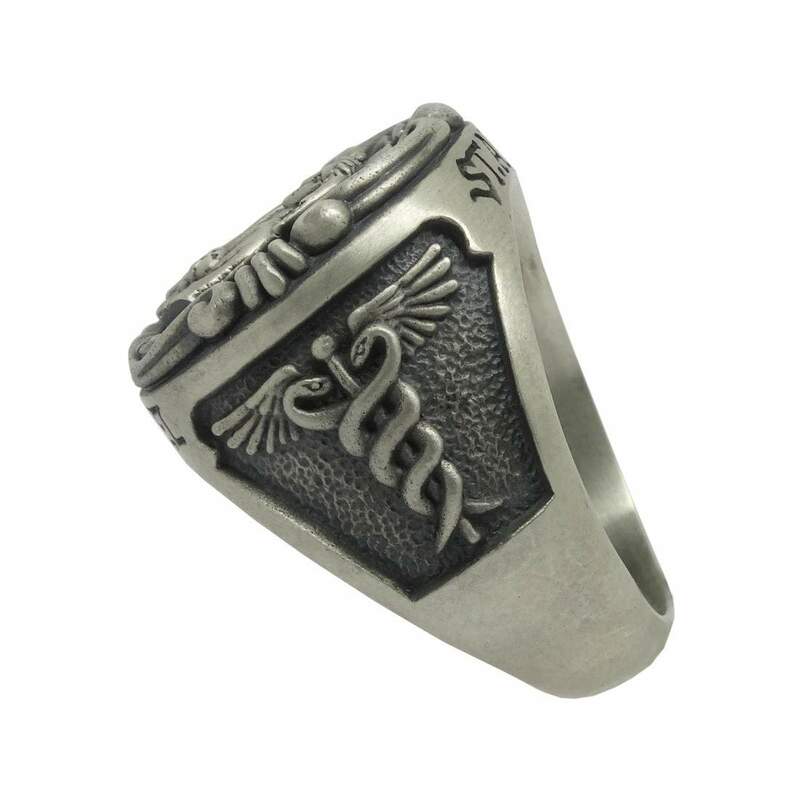 The caduceus is the traditional symbol of Hermes and feature two snakes winding around an often winged staff. It is often used as a symbol of medicine instead of the Rod of Asclepius, especially in the United States.